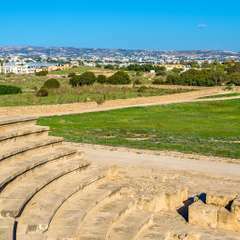 While staying in Paphos, visitors should take advantage of the offerings of the Paphos Archaeological Park and visit the Paphos Acropolis. 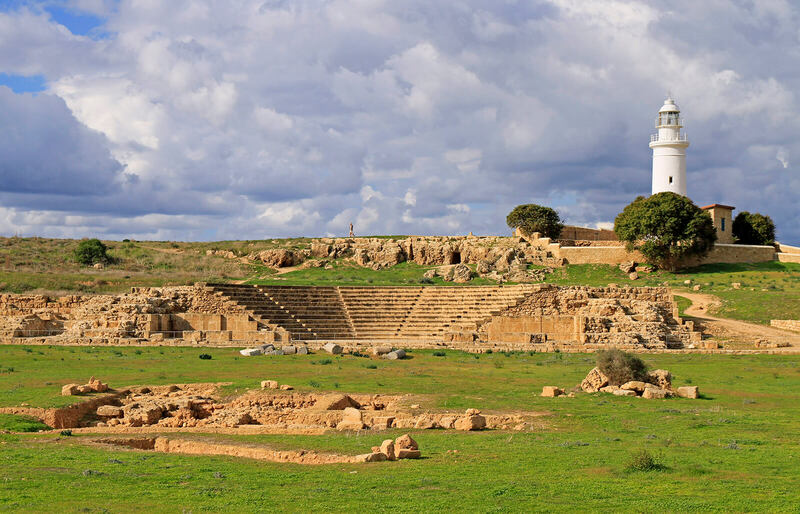 One of the most prominent attractions within the archaeological park is the Ancient Odeon. 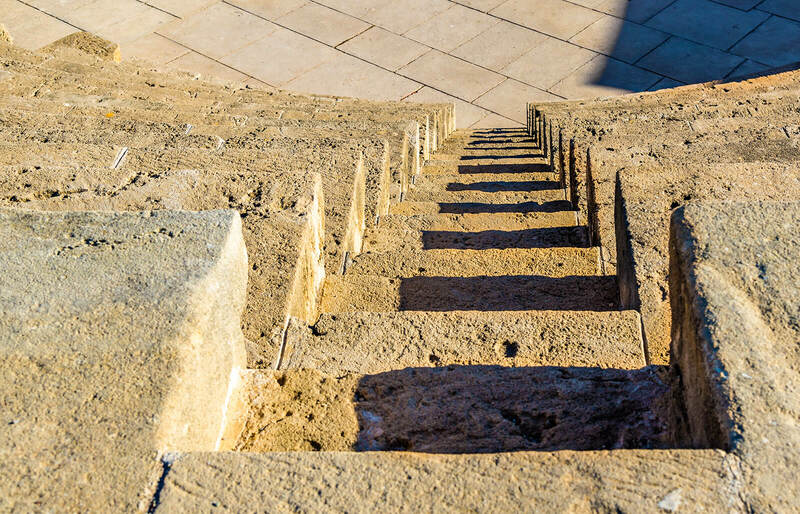 Comprised of carved limestone, the ancient Odeon is a beautiful amphitheater located in Paphos. 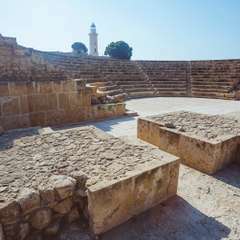 It features twelve rows of stone seating in a half-circle surrounding a stage. The Odeon is built into the side of Fabrica hill. 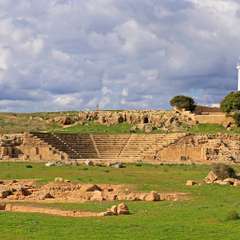 Location: Paphos Archaeological Park, Kato Paphos. Archaelogical Record: 2nd century AD. 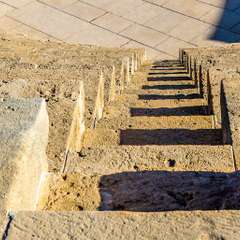 Site Significance: Believed to have been altered by the Romans and used until the 5th century. 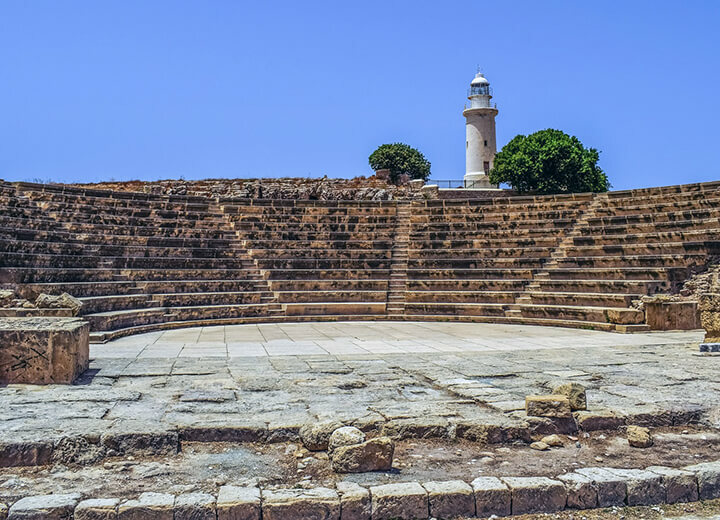 Center stage of the Paphos Odeon with the Lighthouse in the background. 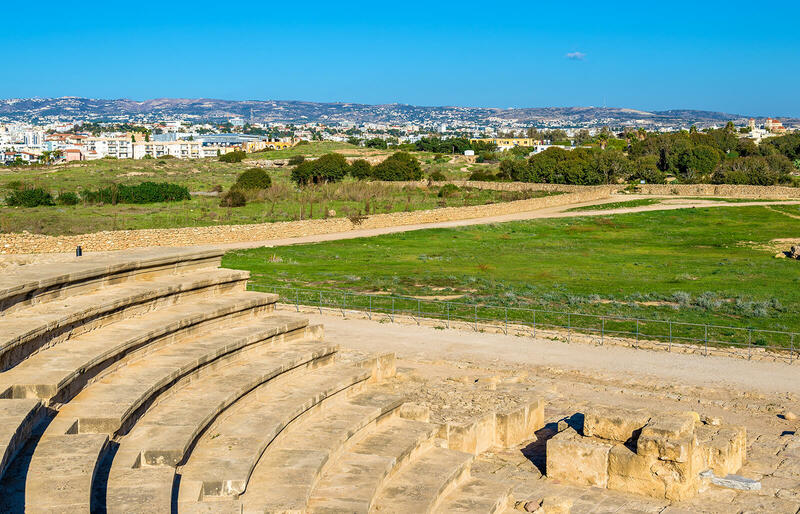 The Odeon is not only a stunning archaeological site to visit but live music and theatrical performances are staged her as well as a portion of the site has been restored by the Cypriot Department of Antiquities. Events performed here have included the 2nd Georgian Culture Festival and a performance of Oedipus the King by Sophocles. 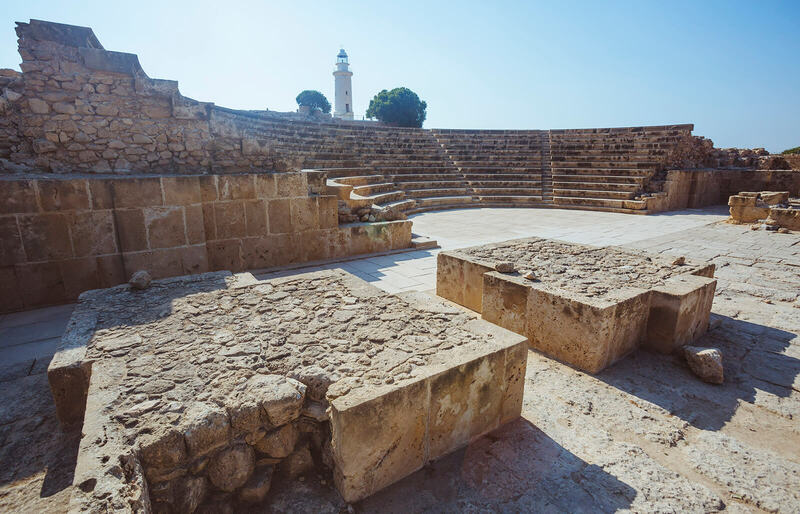 A visitor can almost feel like he has traveled back in time to the 2nd century AD and is sitting among the ancient Cypriots enjoying the live performance of these old plays and dramas that would have been new to the ancient Cypriots. The formation of the hewn limestone provides an ethereal acoustic experience.